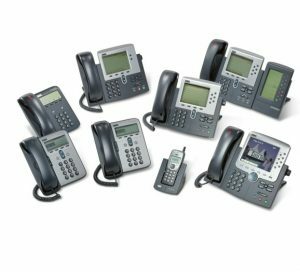 We are always looking to buy Cisco phone and VOIP equipment. Just send us a list of your surplus Cisco equipment and we will provide you with a market leading offer. We’ll arrange collection of your equipment and where possible make payment to you same day. We will happily look at any other phone and VOIP equipment you may have, we are interested in all brands of phones and mobile phones too. Once we have bought your equipment it will be refurbished in house and then resold to a happy new owner. That way nothing goes to land fill and you get working capital back on your old equipment.